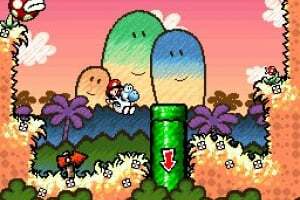 The events of Yoshi's Island take place in the past. 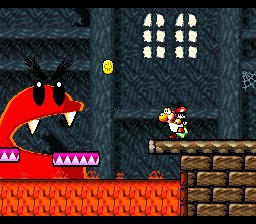 Mario was one of two twin brothers whom the evil Magikoopa Kamek tried to kidnap. 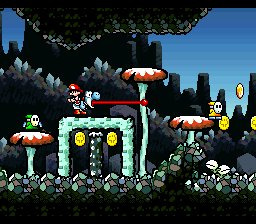 Kamek kidnapped one of the brothers, but the second, Mario, fell down on Yoshi's island, where Yoshis live. 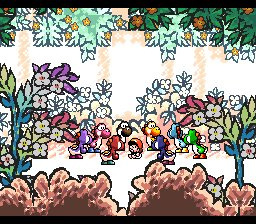 The Yoshis decided to carry baby Mario and to bring him to his parents. 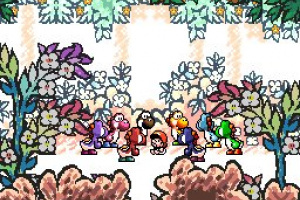 But Kamek has sent troops and hordes of monsters to stop the Yoshis and to kidnap Mario. 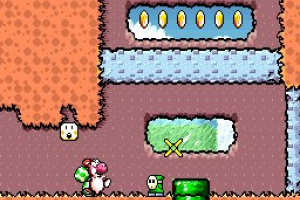 In the game, players control the differently colored Yoshis most of the time. 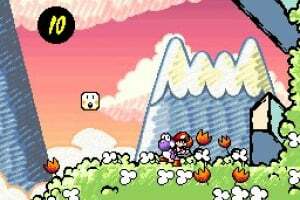 Mario is a helpless baby unless a star that makes him invincible is collected. 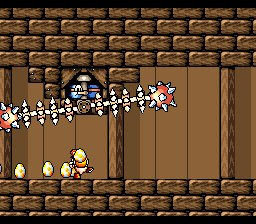 As a Yoshi, players can swallow enemies to make eggs; these eggs are used for attacking other enemies and activating switches. 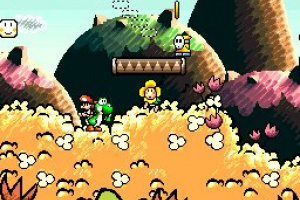 Yoshi can do a flutter jump to clear large gaps that a regular jump can't. 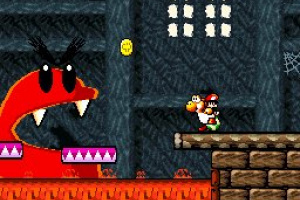 Players can also pound the ground for attacks and also flipping certain switches. 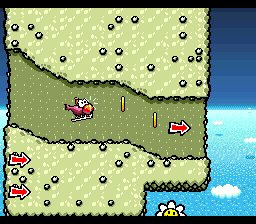 Additionally, Yoshis can transform into vehicles, such as a helicopter, submarine, or a train. 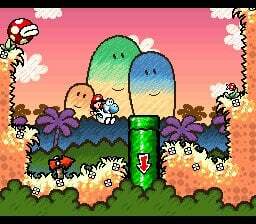 If Mario is dismounted from a Yoshi, a countdown will start, and Yoshi must catch the baby before Kamek's servants kidnap it. 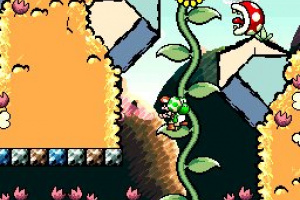 When Mario is invincible, he doesn't ride on Yoshi and is immune to attack. 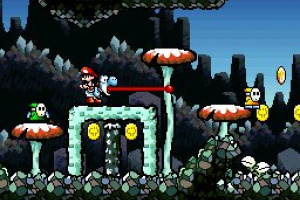 While invincible, Mario can run up certain walls. This game has to be on Virtual Console. I agree, please make this a VC release in 2009!!! 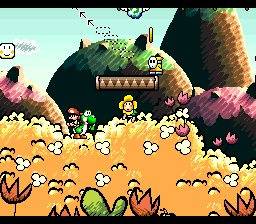 I wonder what it's taking Nintendo so long, as I would have though it would have been on the VC already! Still no VC release yet. 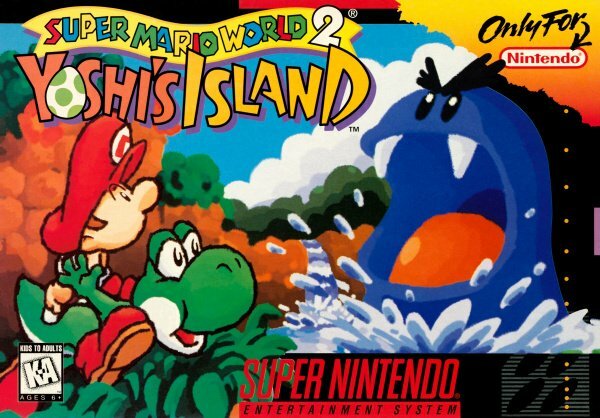 But hopefully if they get the emulation exactly right. 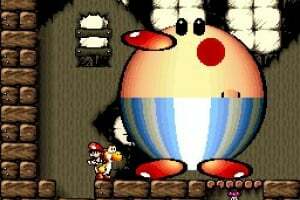 SlimKirby(in YouTube) is still let's playing this. 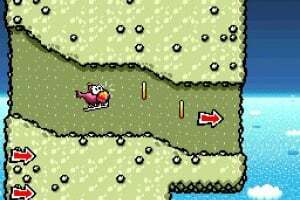 Still no VC release for this game yet? What a shame. 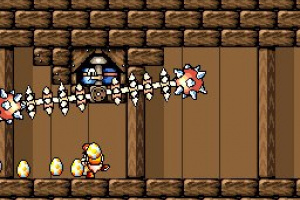 C'mon Nintendo release the GAME!!!!!!!!!!!!!!!!!!!!! lulz found it at the thrift store for $0.99, and it goes on ebay in its condition at about $10. So whoop, I got me a steal! I LURVE IT!!! 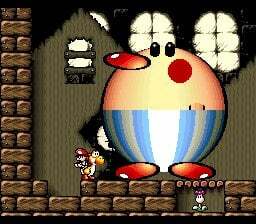 NINTENDO!!!!!!! 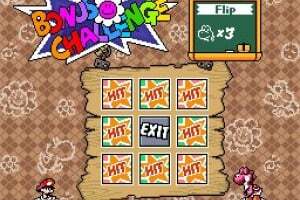 RELEASE THIS ON VC!!!!!! well us 3DS ambassadors are getting this for free! 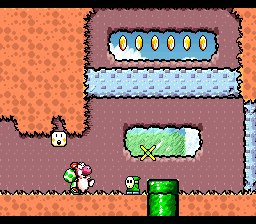 A little late for the above comment but.. the GBA version did have one extra hidden level for each world, if memory serves correctly. 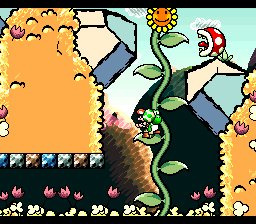 Why this game is not on the VC is beyond me! 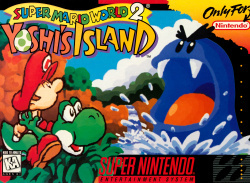 I wish Super Mario World 2: Yoshi`s Island was released on the Nintendo Wii Virtual Console service. Will I be the final comment in this post? 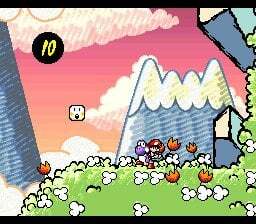 They're having a hard time emulating the Mode 7 effects from the Super FX Chip, so this game isn't likely to come out. 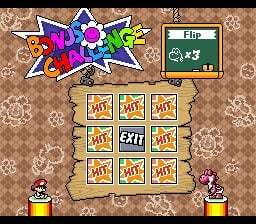 We got the GBA version on Wii U instead as a compromise.